Retired secretary and freelance feature writer Margaret Powling lives in Torbay in South Devon. When she is not out and about with her husband, taking photographs, munching and lunching in local hostelries, and enjoying the scenery, she is devouring lots of lovely books. Over to you, Margaret. My bedside table is actually not a table at all but a small three-drawer mahogany chest, one of a pair (my husband has the other on his side of the bed.) The piles of books change constantly. From the photograph you might notice that although I write non-fiction, almost 100% of the reading matter here is fiction, the current exception being The Paper Garden by Molly Peacock, a biography of Mrs Delany whose life's work started at 72 when she began making her cut-paper pictures. Looking at them today it is hard to imagine they are not paintings at all. Lisa is a 24 year old graphic designer, but is also known for her love of books, cake and cats. She can be found blogging about everything from books to beauty (and kitties on YouTube) on her very pretty website, LeeLeeLoves. Today, Lisa has invited us to have a poke around her bedside table. Over to you, Lisa. One of my favorite places to read has to be my bed. I think this stems back to my childhood when I would spend most of my time in my bedroom reading. Not because I’d been sent there for being naughty, but because I actually enjoyed being left alone to read. I still do. We were mega jealous when we saw Bleach House Library blogger Margaret’s bedroom. Purple walls! A fireplace! Cute dogs! Multiple bedside tables stuffed to bursting point with books! Join us on a quick jaunt to Ireland for a proper tour of Margaret’s bedside tables. Over to you, Margaret. My bedside locker is so tiny, I had to get two more tables for holding stuff – typical woman! The one at arm’s reach holds the books I am currently reading for review and my Kindle. 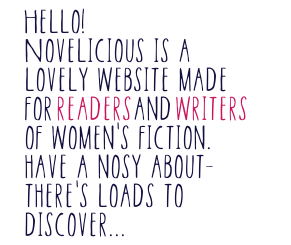 Like us, Scotland-based book blogger Erin has a massive penchant for chicklit. Lately though, Erin has been trying to broaden her reading horizons by choosing books from other genres, so we’ve picked an excellent time to have a rummage around her bedside table. We might even pick up a recommendation or two. Over to you, Erin. I can't remember a time when I've not enjoyed reading. Going back to when I was younger, I remember lounging in my mini armchair reading Charlie and the Chocolate Factory by Roald Dahl or sitting with my papa while he read me stories from one of my many books. Now though, most of my reading time is spent tucked up under the bedcovers before I go to sleep or on a lazy weekend morning.